I've always loved statement necklace and on a plain black outfit the bigger the better. 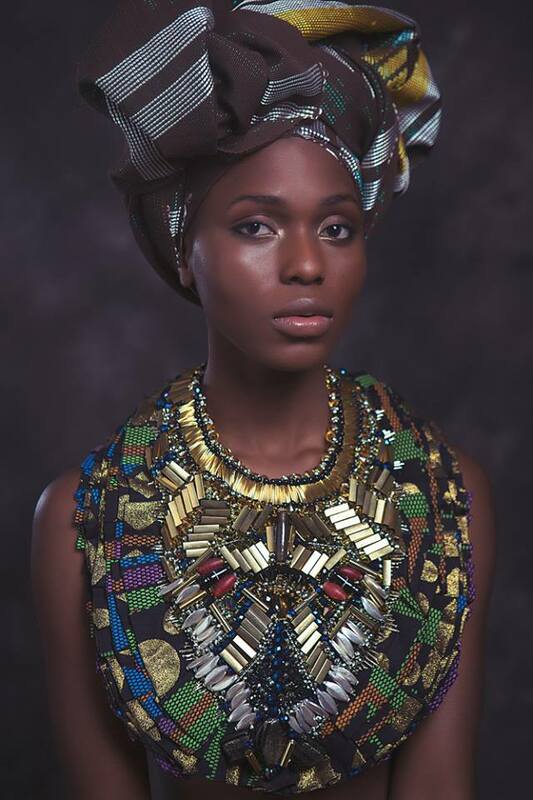 I would easily wear every pieces of the new Anita Quansah SS14 collection and feel like a million dollars even in a LBD. The half Ghanaian and half Nigerian designer established her brand in 2006 and collaborated with prestigious designers such as Christian Lacroix, DKNY and Diane Von Furstenberg. The photoshoot for her new collection is breathtaking. 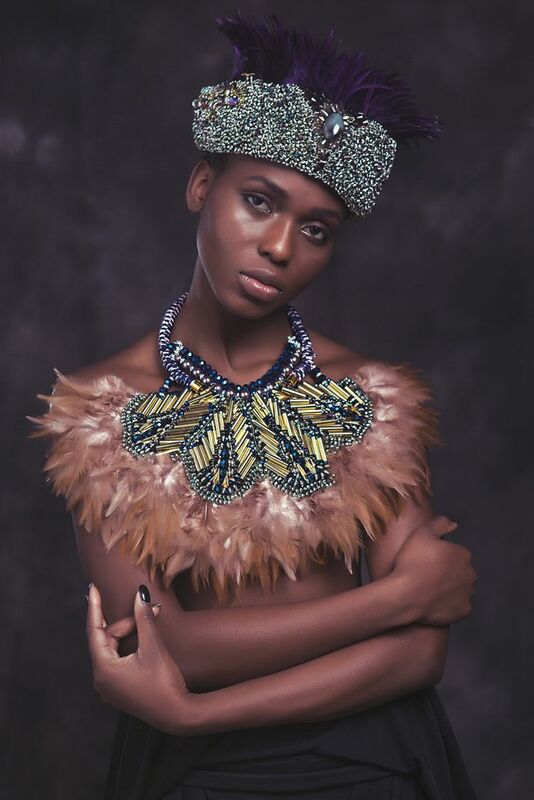 Her delightfully crafted pieces really stand out and tell a story. A story of grace, confidence and luxury. 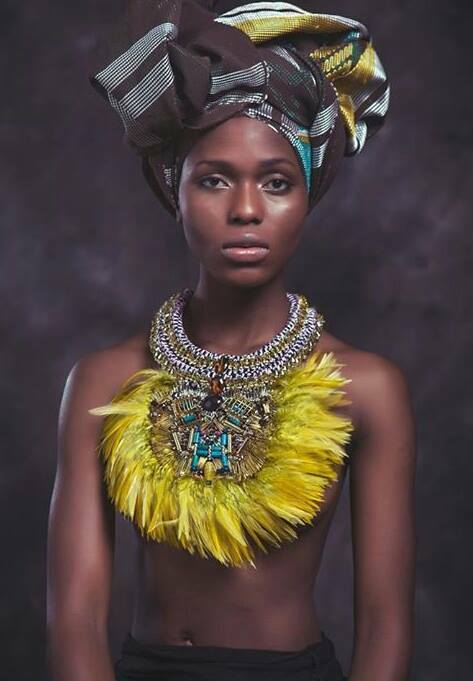 Mixing traditional prints and materiel with modern styling is what always attract me to Anita Quansah designs and looks. 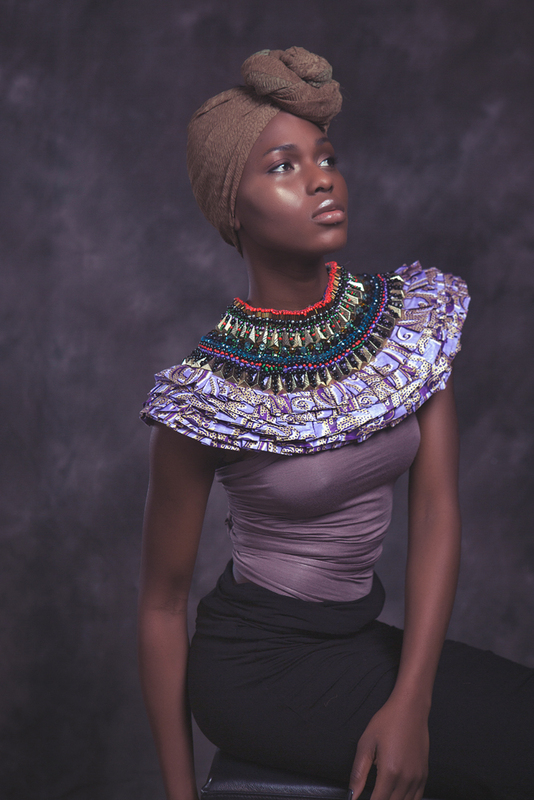 I was also particularly attracted to the lookbook when I recognised the gracious Ayoola adorned with African prints and pearls. I worked with her few months back as a stylist assistant and remember her small frame , sweet nature and lovely facial features. I will definitely purchase one of those gorgeous pieces in the new year and you can do the same now on the website. Follow the brand on Twitter, Instagram and Facebook. They look so awesome and luxurious! Me likey! Thanks Angelina ! best wishes to you too ! Nice isn't it ? Thanks for your comment !